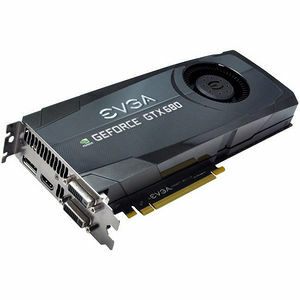 Get to the next level with the EVGA GeForce GTX 680. This card delivers truly game-changing performance that taps into the powerful new GeForce architecture to redefine smooth, seamless, lifelike gaming. It offers brand new, never before seen features that will redefine the way you think about performance graphics cards. Expect more from your graphics card that just state-of-the-art features and technology; get faster, smoother and a richer gaming experience with the EVGA GeForce GTX 680.